This article is about the building product of cement. For the Australian heritage-listed production site, see Portland Cement Works Precinct. Portland cement is the most common type of cement in general use around the world as a basic ingredient of concrete, mortar, stucco, and non-specialty grout. It was developed from other types of hydraulic lime in England in the mid 19th century, and usually originates from limestone. It is a fine powder, produced by heating limestone and clay minerals in a kiln to form clinker, grinding the clinker, and adding 2 to 3 percent of gypsum. Several types of Portland cement are available. The most common, called ordinary Portland cement (OPC), is grey, but white Portland cement is also available. 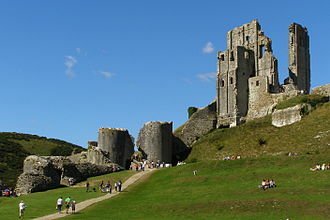 Its name is derived from its similarity to Portland stone which was quarried on the Isle of Portland in Dorset, England. It was named by Joseph Aspdin who obtained a patent for it in 1824. However, his son William Aspdin is regarded as the inventor of "modern" Portland cement due to his developments in the 1840s. Portland cement is caustic, so it can cause chemical burns. The powder can cause irritation or, with severe exposure, lung cancer, and can contain some hazardous components, such as crystalline silica and hexavalent chromium. Environmental concerns are the high energy consumption required to mine, manufacture, and transport the cement, and the related air pollution, including the release of greenhouse gases (e.g., carbon dioxide), dioxin, NOx, SO2, and particulates. The production of Portland cement contributes to about 10% of world carbon dioxide emission. To meet the rising global population, the International Energy Agency estimated that the cement production is set to increase between 12 to 23% by 2050. There are several ongoing researches targeting a suitable replacement of Portland cement by supplementary cementitious materials. 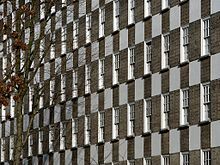 The low cost and widespread availability of the limestone, shales, and other naturally-occurring materials used in Portland cement make it one of the lowest-cost materials widely used over the last century. Concrete produced from Portland cement is one of the world's most versatile construction materials. Portland cement was developed from natural cements made in Britain beginning in the middle of the 18th century. Its name is derived from its similarity to Portland stone, a type of building stone quarried on the Isle of Portland in Dorset, England. 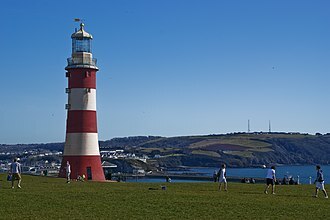 The development of modern Portland cement (sometimes called ordinary or normal Portland cement) began in 1756, when John Smeaton experimented with combinations of different limestones and additives, including trass and pozzolanas, relating to the planned construction of a lighthouse, now known as Smeaton's Tower. In the late 18th century, Roman cement was developed and patented in 1796 by James Parker. Roman cement quickly became popular, but was largely replaced by Portland cement in the 1850s. In 1811, James Frost produced a cement he called British cement. James Frost is reported to have erected a manufactory for making of an artificial cement in 1826. In 1811 Edgar Dobbs of Southwark patented a cement of the kind invented 7 years later by the French engineer Louis Vicat. Vicat's cement is an artificial hydraulic lime, and is considered the 'principal forerunner' of Portland cement. The name Portland cement is recorded in a directory published in 1823 being associated with a William Lockwood and possibly others. In his 1824 cement patent, Joseph Aspdin called his invention "Portland cement" because of the its resemblance to Portland stone. However, Aspdin's cement was nothing like modern Portland cement, but was a first step in the development of modern Portland cement, and has been called a 'proto-Portland cement'. William Aspdin had left his father's company, to form his own cement manufactury. In the 1840's William Aspdin, apparently accidentally, produced calcium silicates which are a middle step in the development of Portland cement. In 1848, William Aspdin further improved his cement. Then, in 1853, he moved to Germany, where he was involved in cement making. William Aspdin made what could be called 'meso-Portland cement' (a mix of Portland cement and hydraulic lime). Isaac Charles Johnson further refined the production of 'meso-Portland cement' (middle stage of development), and claimed to be the real father of Portland cement. John Grant of the Metropolitan Board of Works in 1859 set out requirements for cement to be used in the London sewer project. This became a specification for Portland cement. The next development in the manufacture of Portland cement was the introduction of the rotary kiln, patented by Frederick Ransome in 1885 (U.K.) and 1886 (U.S.); which allowed a stronger, more homogeneous mixture and a continuous manufacturing process. The Hoffmann 'endless' kiln which was said to give 'perfect control over combustion' was tested in 1860, and showed the process produced a better grade of cement. This cement was made at the Portland Cementfabrik Stern at Stettin, which was the first to use a Hoffmann kiln.. The Association of German Cement Manufacturers issued a standard on Portland cement in 1878. Portland cement had been imported into the United States from Germany and England, and in the 1870s and 1880s, it was being produced by Eagle Portland cement near Kalamazoo, Michigan, and in 1875, the first Portland cement was produced in the Coplay Cement Company Kilns under the direction of David O. Saylor in Coplay, Pennsylvania. By the early 20th century, American-made Portland cement had displaced most of the imported Portland cement. Portland cement clinker is a hydraulic material which shall consist of at least two-thirds by mass of calcium silicates, (3 CaO·SiO2, and 2 CaO·SiO2), the remainder consisting of aluminium- and iron-containing clinker phases and other compounds. The ratio of CaO to SiO2 shall not be less than 2.0. The magnesium oxide content (MgO) shall not exceed 5.0% by mass. (The last two requirements were already set out in the German Standard, issued in 1909). Clinkers make up more than 90% of the cement, along with a limited amount of calcium sulfate (CaSO4, which controls the set time), and up to 5% minor constituents (fillers) as allowed by various standards. 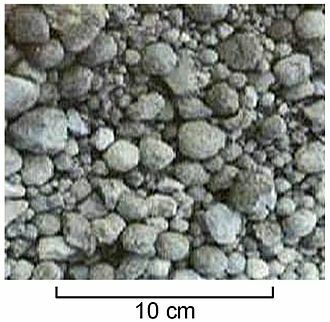 Clinkers are nodules (diameters, 0.2–1.0 inch [5.1–25.4 millimetres]) of a sintered material that is produced when a raw mixture of predetermined composition is heated to high temperature. The key chemical reaction which defines Portland cement from other hydraulic limes occurs at these high temperatures (>1,300 °C (2,370 °F)) as belite (Ca2SiO4) combines with calcium oxide (CaO) to form alite (Ca3SiO5). Portland cement clinker is made by heating, in a cement kiln, a mixture of raw materials to a calcining temperature of above 600 °C (1,112 °F) and then a fusion temperature, which is about 1,450 °C (2,640 °F) for modern cements, to sinter the materials into clinker. The materials in cement clinker are alite, belite, tri-calcium aluminate, and tetra-calcium alumino ferrite. The aluminium, iron, and magnesium oxides are present as a flux allowing the calcium silicates to form at a lower temperature, and contribute little to the strength. For special cements, such as low heat (LH) and sulfate resistant (SR) types, it is necessary to limit the amount of tricalcium aluminate (3 CaO·Al2O3) formed. The major raw material for the clinker-making is usually limestone (CaCO3) mixed with a second material containing clay as source of alumino-silicate. Normally, an impure limestone which contains clay or SiO2 is used. The CaCO3 content of these limestones can be as low as 80%. Secondary raw materials (materials in the raw mix other than limestone) depend on the purity of the limestone. Some of the materials used are clay, shale, sand, iron ore, bauxite, fly ash, and slag. When a cement kiln is fired by coal, the ash of the coal acts as a secondary raw material. A 10 MW cement mill, producing cement at 270 tonnes per hour. To achieve the desired setting qualities in the finished product, a quantity (2–8%, but typically 5%) of calcium sulfate (usually gypsum or anhydrite) is added to the clinker, and the mixture is finely ground to form the finished cement powder. This is achieved in a cement mill. The grinding process is controlled to obtain a powder with a broad particle size range, in which typically 15% by mass consists of particles below 5 μm diameter, and 5% of particles above 45 μm. The measure of fineness usually used is the 'specific surface area', which is the total particle surface area of a unit mass of cement. The rate of initial reaction (up to 24 hours) of the cement on addition of water is directly proportional to the specific surface area. Typical values are 320–380 m2·kg−1 for general purpose cements, and 450–650 m2·kg−1 for 'rapid hardening' cements. The cement is conveyed by belt or powder pump to a silo for storage. 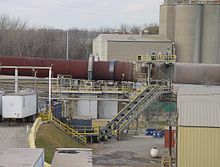 Cement plants normally have sufficient silo space for one to 20 weeks of production, depending upon local demand cycles. The cement is delivered to end users either in bags, or as bulk powder blown from a pressure vehicle into the customer's silo. In industrial countries, 80% or more of cement is delivered in bulk. Cement chemist notation under CCN. Cement sets when mixed with water by way of a complex series of chemical reactions still only partly understood. The different constituents slowly crystallise, and the interlocking of their crystals gives cement its strength. Carbon dioxide is slowly absorbed to convert the portlandite (Ca(OH)2) into insoluble calcium carbonate. After the initial setting, immersion in warm water will speed up setting. Gypsum is added as an inhibitor to prevent flash setting and quick setting. The most common use for Portland cement is in the production of concrete. Concrete is a composite material consisting of aggregate (gravel and sand), cement, and water. As a construction material, concrete can be cast in almost any shape desired, and once hardened, can become a structural (load bearing) element. Concrete can be used in the construction of structural elements like panels, beams, and street furniture, or may be cast-in situ for superstructures like roads and dams. These may be supplied with concrete mixed on site, or may be provided with 'ready-mixed' concrete made at permanent mixing sites. Portland cement is also used in mortars (with sand and water only), for plasters and screeds, and in grouts (cement/water mixes squeezed into gaps to consolidate foundations, road-beds, etc.). When water is mixed with Portland cement, the product sets in a few hours, and hardens over a period of weeks. These processes can vary widely, depending upon the mix used and the conditions of curing of the product, but a typical concrete sets in about 6 hours and develops a compressive strength of 8 MPa in 24 hours. The strength rises to 15 MPa at 3 days, 23 MPa at 1 week, 35 MPa at 4 weeks, and 41 MPa at 3 months. In principle, the strength continues to rise slowly as long as water is available for continued hydration, but concrete is usually allowed to dry out after a few weeks and this causes strength growth to stop. Five types of Portland cements exist, with variations of the first three according to ASTM C150. 55% (C3S), 19% (C2S), 10% (C3A), 7% (C4AF), 2.8% MgO, 2.9% (SO3), 1.0% ignition loss, and 1.0% free CaO. A limitation on the composition is that the (C3A) shall not exceed 15%. 51% (C3S), 24% (C2S), 6% (C3A), 11% (C4AF), 2.9% MgO, 2.5% (SO3), 0.8% ignition loss, and 1.0% free CaO. A limitation on the composition is that the (C3A) shall not exceed 8%, which reduces its vulnerability to sulfates. This type is for general construction exposed to moderate sulfate attack, and is meant for use when concrete is in contact with soils and ground water, especially in the western United States due to the high sulfur content of the soils. Because of similar price to that of type I, type II is much used as a general purpose cement, and the majority of Portland cement sold in North America meets this specification. Note: Cement meeting (among others) the specifications for types I and II has become commonly available on the world market. Type III has relatively high early strength. Its typical compound composition is: 57% (C3S), 19% (C2S), 10% (C3A), 7% (C4AF), 3.0% MgO, 3.1% (SO3), 0.9% ignition loss, and 1.3% free CaO. This cement is similar to type I, but ground finer. Some manufacturers make a separate clinker with higher C3S and/or C3A content, but this is increasingly rare, and the general purpose clinker is usually used, ground to a specific surface area typically 50–80% higher. The gypsum level may also be increased a small amount. This gives the concrete using this type of cement a three-day compressive strength equal to the seven-day compressive strength of types I and II. Its seven-day compressive strength is almost equal to 28-day compressive strengths of types I and II. The only downside is that the six-month strength of type III is the same or slightly less than that of types I and II. Therefore, the long-term strength is sacrificed. It is usually used for precast concrete manufacture, where high one-day strength allows fast turnover of molds. It may also be used in emergency construction and repairs, and construction of machine bases and gate installations. Type IV Portland cement is generally known for its low heat of hydration. Its typical compound composition is: 28% (C3S), 49% (C2S), 4% (C3A), 12% (C4AF), 1.8% MgO, 1.9% (SO3), 0.9% ignition loss, and 0.8% free CaO. The percentages of (C2S) and (C4AF) are relatively high and (C3S) and (C3A) are relatively low. A limitation on this type is that the maximum percentage of (C3A) is seven, and the maximum percentage of (C3S) is thirty-five. This causes the heat given off by the hydration reaction to develop at a slower rate. However, as a consequence the strength of the concrete develops slowly. After one or two years the strength is higher than the other types after full curing. This cement is used for very large concrete structures, such as dams, which have a low surface to volume ratio. This type of cement is generally not stocked by manufacturers, but some might consider a large special order. This type of cement has not been made for many years, because Portland-pozzolan cements and ground granulated blast furnace slag addition offer a cheaper and more reliable alternative. Type V is used where sulfate resistance is important. Its typical compound composition is: 38% (C3S), 43% (C2S), 4% (C3A), 9% (C4AF), 1.9% MgO, 1.8% (SO3), 0.9% ignition loss, and 0.8% free CaO. This cement has a very low (C3A) composition which accounts for its high sulfate resistance. The maximum content of (C3A) allowed is 5% for type V Portland cement. Another limitation is that the (C4AF) + 2(C3A) composition cannot exceed 20%. This type is used in concrete to be exposed to alkali soil and ground water sulfates which react with (C3A) causing disruptive expansion. It is unavailable in many places, although its use is common in the western United States and Canada. As with type IV, type V Portland cement has mainly been supplanted by the use of ordinary cement with added ground granulated blast furnace slag or tertiary blended cements containing slag and fly ash. Types Ia, IIa, and IIIa have the same composition as types I, II, and III. The only difference is that in Ia, IIa, and IIIa, an air-entraining agent is ground into the mix. The air-entrainment must meet the minimum and maximum optional specification found in the ASTM manual. These types are only available in the eastern United States and Canada, only on a limited basis. They are a poor approach[clarification needed] to air-entrainment which improves resistance to freezing under low temperatures. Types II(MH) and II(MH)a have a similar composition as types II and IIa, but with a mild heat. The European norm EN 197-1 defines five classes of common cement that comprise Portland cement as a main constituent. These classes differ from the ASTM classes. Constituents that are permitted in Portland-composite cements are artificial pozzolans (blastfurnace slag (in fact a latent hydraulic binder), silica fume, and fly ashes), or natural pozzolans (siliceous or siliceous aluminous materials such as volcanic ash glasses, calcined clays and shale). The Canadian standards describe six main classes of cement, four of which can also be supplied as a blend containing ground limestone (where a suffix L is present in the class names). HS > High sulphate resistant; generally develops strength less rapidly than the other types. White Portland cement or white ordinary Portland cement (WOPC) is similar to ordinary, grey, Portland cement in all respects, except for its high degree of whiteness. Obtaining this colour requires high purity raw materials (low Fe2O3 content), and some modification to the method of manufacture, among others a higher kiln temperature required to sinter the clinker in the absence of ferric oxides acting as a flux in normal clinker. As Fe2O3 contributes to decrease the melting point of the clinker (normally 1450 °C), the white cement requires a higher sintering temperature (around 1600 °C). Because of this, it is somewhat more expensive than the grey product. The main requirement is to have a low iron content which should be less than 0.5 wt.% expressed as Fe2O3 for white cement, and less than 0.9 wt.% for off-white cement. It also helps to have the iron oxide as ferrous oxide (FeO) which is obtained via slightly reducing conditions in the kiln, i.e., operating with zero excess oxygen at the kiln exit. This gives the clinker and cement a green tinge. Other metallic oxides such as Cr2O3 (green), MnO (pink), TiO2 (white), etc., in trace content, can also give colour tinges, so for a given project it is best to use cement from a single batch. Bags of cement routinely have health and safety warnings printed on them, because not only is cement highly alkaline, but the setting process is also exothermic. 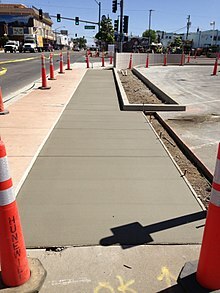 As a result, wet cement is strongly caustic, and can easily cause severe skin burns if not promptly washed off with water. Similarly, dry cement powder in contact with mucous membranes can cause severe eye or respiratory irritation. The reaction of cement dust with moisture in the sinuses and lungs can also cause a chemical burn, as well as headaches, fatigue, and lung cancer. The production of comparatively low-alkalinity cements (pH<11) is an area of ongoing investigation. In Scandinavia, France, and the United Kingdom, the level of chromium(VI), which is considered to be toxic and a major skin irritant, may not exceed 2 parts per million (ppm). In the US, the Occupational Safety and Health Administration (OSHA) has set the legal limit (permissible exposure limit) for Portland cement exposure in the workplace as 50 mppcf (million particles per cubic foot) over an 8-hour workday. The National Institute for Occupational Safety and Health (NIOSH) has set a recommended exposure limit (REL) of 10 mg/m3 total exposure and 5 mg/m3 respiratory exposure over an 8-hour workday. At levels of 5000 mg/m3, Portland cement is immediately dangerous to life and health. Portland cement manufacture can cause environmental impacts at all stages of the process. 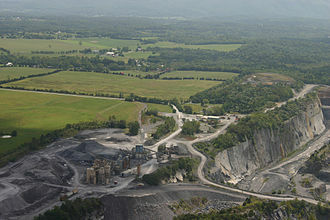 These include emissions of airborne pollution in the form of dust; gases; noise and vibration when operating machinery and during blasting in quarries; consumption of large quantities of fuel during manufacture; release of CO2 from the raw materials during manufacture, and damage to countryside from quarrying. Equipment to reduce dust emissions during quarrying and manufacture of cement is widely used, and equipment to trap and separate exhaust gases are coming into increased use. 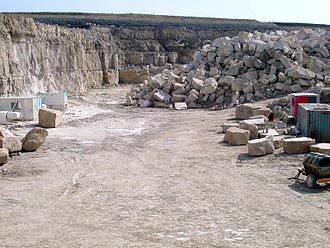 Environmental protection also includes the re-integration of quarries into the countryside after they have been closed down by returning them to nature or re-cultivating them. Epidemiologic Notes and Reports Sulfur Dioxide Exposure in Portland Cement Plants, from the Centers for Disease Control, states "Workers at Portland cement facilities, particularly those burning fuel containing sulfur, should be aware of the acute and chronic effects of exposure to SO2 [sulfur dioxide], and peak and full-shift concentrations of SO2 should be periodically measured." An independent research effort of AEA Technology to identify critical issues for the cement industry today concluded the most important environment, health and safety performance issues facing the cement industry are atmospheric releases (including greenhouse gas emissions, dioxin, NOx, SO2, and particulates), accidents, and worker exposure to dust. 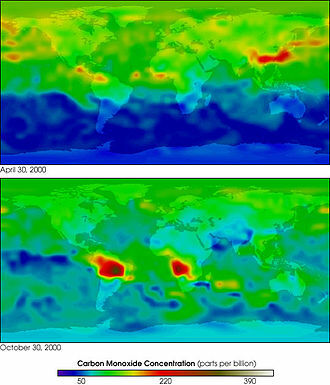 CO2 produced by vehicles in cement plants and distribution. Source 1 is fairly constant: minimum around 0.47 kg CO2 per kg of cement, maximum 0.54, typical value around 0.50 worldwide. Source 2 varies with plant efficiency: efficient precalciner plant 0.24 kg CO2 per kg cement, low-efficiency wet process as high as 0.65, typical modern practices (e.g. UK) averaging around 0.30. Source 3 is almost insignificant at 0.002–0.005. So typical total CO2 is around 0.80 kg CO2 per kg finished cement. This omits the CO2 associated with electric power consumption, because this varies according to the local generation type and efficiency. Typical electrical energy consumption is of the order of 90–150 kWh per tonne cement, equivalent to 0.09–0.15 kg CO2 per kg finished cement if the electricity is coal-generated. Overall, with nuclear- or hydroelectric power, and efficient manufacturing, CO2 generation can be reduced to 0.7 kg per kg cement, but can be twice as high. The thrust of innovation for the future is to reduce sources 1 and 2 by modification of the chemistry of cement, by the use of wastes, and by adopting more efficient processes. Although cement manufacturing is clearly a very large CO2 emitter, concrete (of which cement makes up about 15%) compares quite favourably with other building systems in this regard. Due to the high temperatures inside cement kilns, combined with the oxidising (oxygen-rich) atmosphere and long residence times, cement kilns are used as a processing option for various types of waste streams; indeed, they efficiently destroy many hazardous organic compounds. The waste streams also often contain combustible materials which allow the substitution of part of the fossil fuel normally used in the process. ^ a b Courland, Robert (2011). Concrete planet : the strange and fascinating story of the world's most common man-made material. Amherst, N.Y.: Prometheus Books. ISBN 978-1616144814. Retrieved 28 August 2015. ^ a b c "ASTM C185-15a, Standard Test Method for Air Content of Hydraulic Cement Mortar". www.ASTM.org. West Conshohocken, PA: ASTM International. 2015. doi:10.1520/C0185-15A. Retrieved 16 May 2017. ^ Scrivener, Karen L.; John, Vanderley M.; Gartner, Ellis M. (June 2018). "Eco-efficient cements: Potential economically viable solutions for a low-CO 2 cement-based materials industry". Cement and Concrete Research. 114: 2–26. doi:10.1016/j.cemconres.2018.03.015. ^ "Technology Roadmap - Low-Carbon Transition in the Cement Industry: Foldout". IEA webstore. ^ Lothenbach, Barbara; Scrivener, Karen; Hooton, R.D. (December 2011). "Supplementary cementitious materials". Cement and Concrete Research. 41 (12): 1244–1256. doi:10.1016/j.cemconres.2010.12.001. ^ a b c d e Robert G. Blezard, "The History of Calcareous Cements" in Hewlett, Peter C., ed.. Leaʼs chemistry of cement and concrete. 4. ed. Amsterdam: Elsevier Butterworth-Heinemann, 2004. 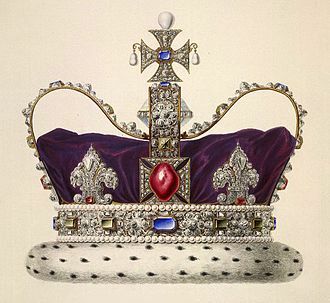 1–24. Print. ^ Rayment, D. L. (1986). "The electron microprobe analysis of the C-S-H phases in a 136-year-old cement paste". Cement and Concrete Research. 16 (3): 341–344. doi:10.1016/0008-8846(86)90109-2. ^ "Portland Cement". dot.gov. Archived from the original on 7 June 2014. ^ Dylan Moore. "Cement Kilns: Clinker Thermochemistry". cementkilns.co.uk. Archived from the original on 6 March 2014. ^ "Housing Prototypes: Page Street". housingprototypes.org. Archived from the original on 16 September 2012. ^ The contractor's guide to quality concrete construction. 3rd ed. St. Louis, MO: American Society of Concrete Contractors ;, 2005. 17. Print. ^ "Mother left with horrific burns to her knees after kneeling in B&Q cement while doing kitchen DIY". Daily Mail. London. 15 February 2011. ^ Pyatt, Jamie (15 February 2011). "Mums horror cement burns". The Sun. London. Archived from the original on 7 November 2011. ^ Bolognia, Jean L.; Joseph L. Jorizzo; Ronald P. Rapini (2003). Dermatology, volume 1. Mosby. ISBN 978-0-323-02409-9. ^ Oleru, U. G. (1984). "Pulmonary function and symptoms of Nigerian workers exposed to cement dust". Environ. Research. 33 (2): 379–385. Bibcode:1984ER.....33..379O. doi:10.1016/0013-9351(84)90036-7. ^ Rafnsson, V; H. Gunnarsdottir; M. Kiilunen (1997). "Risk of lung cancer among masons in Iceland". Occup. Environ. Med. 54 (3): 184–188. doi:10.1136/oem.54.3.184. PMID 9155779. ^ Coumes, Céline Cau Dit; Simone Courtois; Didier Nectoux; Stéphanie Leclercq; Xavier Bourbon (December 2006). "Formulating a low-alkalinity, high-resistance and low-heat concrete for radioactive waste repositories". Cement and Concrete Research. Elsevier Ltd. 36 (12): 2152–2163. doi:10.1016/j.cemconres.2006.10.005. ^ "CDC – NIOSH Pocket Guide to Chemical Hazards – Portland cement". www.cdc.gov. Archived from the original on 21 November 2015. Retrieved 21 November 2015. ^ "Epidemiologic Notes and Reports Sulfur Dioxide Exposure in Portland Cement Plants". cdc.gov. Archived from the original on 25 June 2017. ^ "Toward a Sustainable Cement Industry: Environment, Health & Safety Performance Improvement" (PDF). wbcsd.ch. Archived (PDF) from the original on 28 September 2007. ^ Chris Boyd (December 2001). "Recovery of Wastes in Cement Kilns" (PDF). World Business Council for Sustainable Development. Archived from the original (PDF) on 24 June 2008. Retrieved 2008-09-25. ^ S.H. Kosmatka; W.C. Panarese (1988). Design and Control of Concrete Mixtures. Skokie, Illinois: Portland Cement Association. p. 15. ISBN 978-0-89312-087-0. As a generalization, probably 50% of all industrial byproducts have potential as raw materials for the manufacture of Portland cement. 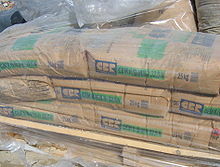 Wikimedia Commons has media related to Cement. Fountain, Henry (30 March 2009). "Concrete Is Remixed With Environment in Mind". The New York Times. Retrieved 2009-03-30. William Aspdin was an English cement manufacturer, and a pioneer of the Portland cement industry. He is considered the inventor of modern Portland cement and he has been termed an incorrigible liar and swindler. Aspdin was born in Leeds, the son of Joseph Aspdin. Joseph Aspdin obtained a patent for Portland cement in 1824 and his product was a fast-setting material usable only in mortars and stuccos. He joined his fathers cement manufacturing firm in 1829, at the age of fourteen, in July 1841, Aspdin left the firm after a major disagreement with his father. A marriage record from Royston Saint John the Baptist church in Barnsley, South Yorkshire of 28 Dec 1841 reports the marriage of William Aspdin, none of his family was present at the wedding. In 1843, Aspdin set up a plant at Rotherhithe, near London. William had discovered that a different product, with much wider applications. By increasing the content in the mixture, and burning it much harder. This product was more expensive to make, in terms of cost of extra limestone, cost of extra fuel. Although this product, referred to today as modern Portland cement, was entirely different mineralogically from that of his father, Aspdin did not take out a patent, or give it a new name. 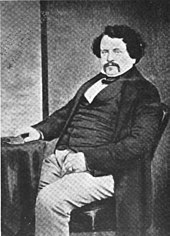 Instead he attempted to keep the details of his methods secret, however, in 1845, his rival Isaac Charles Johnson succeeded in creating a similar product for J. B. White & Co. s nearby Swanscombe plant, Aspdin contracted several partnerships in order to finance his operations. As Maude, Jones & Aspdin, he acquired the Parker and Wyatt plant at Northfleet creek, Kent and he sold out his share of the Northfleet plant in 1852, and set up in Gateshead, County Durham, as Aspdin, Ord & Co. In 1857, he sold out again, and moved to Germany, from 1860, he set up cement plants at Altona and Lagerdorf, these being the first plants to make modern Portland cement outside the UK. He died at Itzehoe near Hamburg on April 11,1864, the Northfleet plant continued making Portland cement on a small scale as Robins & Co. Ltd. until it was taken over by APCM in 1900. A rotary kiln is a pyroprocessing device used to raise materials to a high temperature in a continuous process. The kiln is a vessel, inclined slightly to the horizontal. The material to be processed is fed into the end of the cylinder. 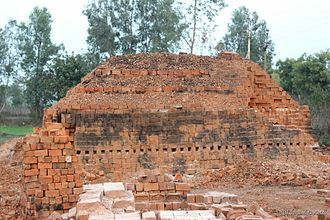 As the kiln rotates, material gradually moves down towards the lower end, hot gases pass along the kiln, sometimes in the same direction as the process material, but usually in the opposite direction. The hot gases may be generated in a furnace, or may be generated by a flame inside the kiln. Such a flame is projected from a burner-pipe which acts like a large bunsen burner, the fuel for this may be gas, pulverized petroleum coke or pulverized coal. The basic components of a kiln are the shell, the refractory lining, support tyres and rollers, drive gear. The rotary kiln was invented in 1873 by the Englishman Frederick Ransome and this is made from rolled mild steel plate, usually between 15 and 30 mm thick, welded to form a cylinder which may be up to 230 m in length and up to 6 m in diameter. This will be situated on an east–west axis to prevent eddy currents. Upper limits on diameter are set by the tendency of the shell to deform under its own weight to a cross section. Length is not necessarily limited, but it becomes difficult to cope with changes in length on heating and cooling if the kiln is very long. The purpose of the lining is to insulate the steel shell from the high temperatures inside the kiln. It may consist of refractory bricks or cast refractory concrete, or may be absent in zones of the kiln that are below around 250 °C, the refractory selected depends upon the temperature inside the kiln and the chemical nature of the material being processed. In some processes, such as cement, the life is prolonged by maintaining a coating of the processed material on the refractory surface. The thickness of the lining is generally in the range 80 to 300 mm, a typical refractory will be capable of maintaining a temperature drop of 1000 °C or more between its hot and cold faces. Belite is an industrial mineral important in Portland cement manufacture. Its main constituent is dicalcium silicate, Ca2SiO4, sometimes formulated as 2 CaO · SiO2, the name was given by Törneborn in 1897 to a crystal identified in microscopic investigation of Portland cement. Belite is a name in use in the cement industry. It occurs naturally as the mineral larnite, the name being derived from Larne, Northern Ireland, the belite found in Portland cement differs in composition from pure dicalcium silicate. It is a solution and contains minor amounts of other oxides besides CaO. A typical composition, Based on this, the formula can be expressed as Ca1. 94Mg0. 02Na0. 01K0. 03Fe0. 02Al0. 07Si0. 90P0. 01O3.93. In practice, the composition varies with the composition of the clinker. Substitution of calcium ions or orthosilicate ions requires that electric charges be kept in balance, for instance, a limited number of orthosilicate ions can be replaced with sulfate ions, provided that for each sulfate ion, two aluminate ions are substituted. Dicalcium silicate is stable, and is prepared from reactive CaO. The low temperature form is γ-belite, or lime olivine and this form does not hydrate, and is avoided in cement manufacture. As the temperature rises, it passes through several polymorphic states, the other silicate, alite contributes early strength, due to its higher reactivity. The hydrate phase, is referred to as the C-S-H phase and it grows as a mass of interlocking needles that provide the strength of the hydrated cement system. Relatively high belite reactivity is desirable in Portland cement manufacture, and this is achieved by rapid cooling, forming crystals that are small and highly defective. Defects provide sites for initial water attack, failure to cool the clinker rapidly leads to inversion of belite to the γ-form. This is observed macroscopically as dusting, the clinker nodules fall to a fine dust, the minerals in Portland cement clinker may be observed and quantified by petrographic microscopy. Clinker nodules are cut and ground to a flat, polished surface, the exposed minerals are made visible and identifiable by etching the surface. Calcium oxide, commonly known as quicklime or burnt lime, is a widely used chemical compound. It is a white, alkaline, crystalline solid at room temperature, the broadly used term lime connotes calcium-containing inorganic materials, in which carbonates and hydroxides of calcium, magnesium and iron predominate. By contrast, quicklime specifically applies to the chemical compound calcium oxide. Calcium oxide that survives processing without reacting in building such as cement is called free lime. Both it and a chemical derivative are important commodity chemicals, Calcium oxide is usually made by the thermal decomposition of materials, such as limestone or seashells, that contain calcium carbonate in a lime kiln. This is accomplished by heating the material to above 825 °C, annual worldwide production of quicklime is around 283 million tonnes. China is by far the worlds largest producer, with a total of around 170 million tonnes per year, the United States is the next largest, with around 20 million tonnes per year. Approximately 1.8 t of limestone is required per 1.0 t of quicklime, quicklime has a high affinity for water and is a more efficient desiccant than silica gel. The reaction of quicklime with water is associated with an increase in volume by a factor of at least 2.5, the major use of quicklime is in the Basic oxygen steelmaking process. Its usage varies from about 30–50 kg/t of steel, the quicklime neutralizes the acidic oxides, SiO2, Al2O3, and Fe2O3, to produce a basic molten slag. Ground quicklime is used in the production of aerated concrete blocks and hydrated lime can considerably increase the load carrying capacity of clay-containing soils. They do this by reacting with finely divided silica and alumina to produce calcium silicates and aluminates, small quantities of quicklime are used in other processes, e. g. the production of glass, calcium aluminate cement, and organic chemicals. The hydrate can be reconverted to quicklime by removing the water by heating it to redness to reverse the hydration reaction, one litre of water combines with approximately 3.1 kilograms of quicklime to give calcium hydroxide plus 3.54 MJ of energy. Berrima is a historic village in the Southern Highlands of New South Wales, Australia, in Wingecarribee Shire. The village, once a town, is located on the Old Hume Highway between Canberra and Sydney. It was previously known officially as the Town of Berrima and it is close to the three major towns of the Southern Highlands, Mittagong and Moss Vale. The name Berrima is believed to derive from an Aboriginal word meaning either southward or black swan, the area around Berrima was once occupied by the Dharawal Aborigines. They had been driven off or killed by the 1870s, the Wingecarribee River and the area was first visited during the late 1790s, including a 1798 expedition led by an ex-convict, John Wilson. However and Hamilton Hume rediscovered the area in 1814, the area was explored by Charles Throsby in 1818. Runs were taken up soon after, including by one by Charles Throsby, harper’s Mansion, which is on a hill overlooking the town, was built from 1829–1830. The survey was conducted in 1830 and the plan was approved in 1831. The courthouse was built between 1833 and 1838, the gaol was built from 1835 by convict labour and opened in 1839. The Surveyor General Inn was built in 1834 and it has been continuously licensed since 1839 and its claim to being the earliest hotel rests on its continual licence and being in the original building. Berrima prospered as being at a point on the Old Hume Highway, because the construction of the railway bypassed the town, the population decreased — no new houses were built for a hundred years. In 1896, Sir Henry Parkes, premier of New South Wales, there are many historic buildings in the town and the village as a whole is listed on the Register of the National Estate. The Berrima Village Trust was established in 1963 to preserve historic buildings, Berrima Court House was built between 1836 and 1838. It was designed by the colonial architect Mortimer Lewis in a Roman style, four Doric columns support a classical pediment. The building is now classified as Georgian. A number of problems arose during construction, the first architect having resigned, the first quarter-sessions were held at the court house in 1841, and the first trial by jury in the colony of New South Wales was held here. Hydraulic lime is a general term for varieties of lime, or slaked lime, used to make lime mortar which set through hydration, thus they are called hydraulic. The other common types of lime mortar set through carbonation and are called air lime. Hydraulic lime provides an initial set and higher compressive strength than air lime. In the United States NHL may be called hydrated hydraulic lime per ASTM C-141 Standard Specification for Hydrated Hydraulic Lime for Structural Purposes, artificial hydraulic lime or artificial lime becomes hydraulic when hydraulic and/or pozzolan materials are added either before or after burning in a lime kiln. Formulated lime consists of. mainly of hydrated lime and or NHL with added hydraulic and/or pozzolanic material and it is identical to HL but its composition must be declared on the CE marking. Pozzolanic hydraulic lime is similar to HL or FL. Consists mainly of hydrated lime with one or more pozzolans with possible inclusion of inert filler, when Portland cement, even traces, is present, it has to be labeled as PHLc. Hydraulic lime is a building material for the following reasons. There is no need for expansion joints and it allows buildings to breathe, and does not trap moisture in the walls. It has a firing temperature than Portland cement, and is thus less polluting. Stone and brickwork bonded with lime is easier to re-use and it is less dense than cement, thus less cold bridging. Lime re-absorbs the carbon emitted by its calcination, thus partially offsetting the large amount emitted during its manufacture. The more hydraulic a lime, the less CO2 is reabsorbed during set, for example, 50% of CO2 is reabsorbed by NHL3.5 during the set and this meant that lime could be used in a wide variety of applications including floors and even vaults or domes. An example is the Pantheon in Rome, which has survived for two thousand years. The domes diameter is equal to its height from the floor and it is constructed from six different lime mixes, which change the properties and lightness of the material. Feebly hydraulic lime is used for work and external work in sheltered areas. 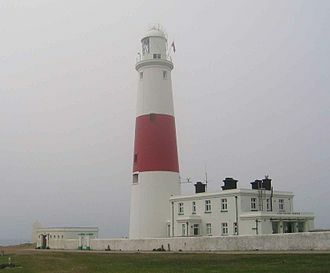 The Isle of Portland is a limestone tied island,6 kilometres long by 2.7 kilometres wide, in the English Channel. Portland is 8 kilometres south of the resort of Weymouth, forming the southernmost point of the county of Dorset, a barrier beach called the Chesil Beach joins it to the mainland. The A354 road passes down the Portland end of the beach and Weymouth together form the borough of Weymouth and Portland. 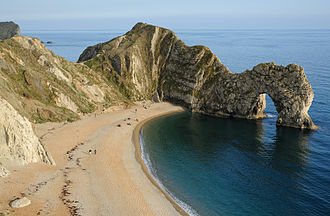 The population of Portland is 12,400, Portland is a central part of the Jurassic Coast, a World Heritage Site on the Dorset and east Devon coast, important for its geology and landforms. Portland stone, famous for its use in British and world architecture, including St Pauls Cathedral, Portland Harbour, in between Portland and Weymouth, is one of the largest man-made harbours in the world. The harbour was made by the building of stone breakwaters between 1848 and 1905, the harbour is now a civilian port and popular recreation area, and was used for the 2012 Olympic Games. 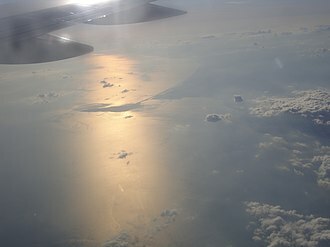 The name Portland is used for one of the British Sea Areas, the Romans occupied Portland, reputedly calling it Vindelis. The Vikings first raid on England occurred in Portland in 787 AD, three lost Viking ships from Hordaland landed at Portland Bill. The kings reeve tried to collect taxes from them, but they killed him, in 1539 King Henry VIII ordered the construction of Portland Castle for defence against attacks by the French, the castle cost £4,964. It is one of the best preserved castles from this period, well-known buildings in the capital, including St Pauls Cathedral and the eastern front of Buckingham Palace feature the stone. Portland cement has nothing to do with Portland, it was so named due to its colour to Portland stone when mixed with lime. There have been railways in Portland since the early 19th century, the Merchants Railway was the earliest—it opened in 1826 and ran from the quarries at the north of Tophill to a pier at Castletown, from where the Portland stone was shipped around the country. The line closed to passengers in 1952, and the goods train ran in April 1965. The Royal National Institution for the Preservation of Life from Shipwreck stationed a lifeboat at Portland in 1826, coastal flooding has affected Portlands residents and transport for centuries—the only way off the island by land is along the causeway in the lee of Chesil Beach. 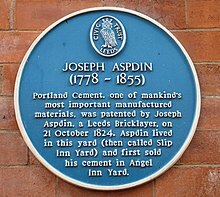 Joseph Aspdin was an English cement manufacturer who obtained the patent for Portland cement on 21 October 1824. Aspdin was the eldest of the six children of Thomas Aspdin and he was baptised on Christmas Day,1778. He entered his fathers trade, and married Mary Fotherby at Leeds Parish Church on 21 May 1811, by 1817 he had set up in business on his own in central Leeds. See below for the text of the patent, almost immediately after this, in 1825, in partnership with a Leeds neighbour, William Beverley, he set up a production plant for this product in Kirkgate, Wakefield. Beverley stayed in Leeds, but Aspdin and his moved to Wakefield at this point. He obtained a patent, for a method of making lime. The Kirkgate plant was closed in 1838 after compulsory purchase of the land by the Manchester and Leeds Railway Company, and he moved his equipment to a second site nearby in Kirkgate. At this time his eldest son James was working as an accountant in Leeds, in 1843, William established his own plant at Rotherhithe, near London. There he introduced a new and substantially stronger cement, using a recipe for cement-making. In 1844 Joseph retired, transferring his share of the business to James, James moved to a third site at Ings Road in 1848, and this plant continued in operation until 1900. Joseph Aspdin died on 20 March 1855, at home in Wakefield, the patent reads as follows, TO ALL TO WHOM THESE PRESENTS SHALL COME, I, Joseph Aspdin, of Leeds, in the County of York, send greeting. I take a quantity of argillaceous earth or clay. Then I brake the said mixture into suitable lumps and calcine them in a similar to a lime kiln till the carbonic acid is entirely expelled. The mixture so calcined is to be ground, beat, or rolled to a fine powder and this powder is to be mixed with a sufficient quantity of water to bring it into the consistency of mortar, and thus applied to the purposes wanted. In witness whereof, I, the said Joseph Aspdin, have set my hand seal. And the Specification aforesaid was stamped according to the tenor of the made for that purpose. Roman cement is a substance developed by James Parker in the 1780s, being patented in 1796. The burnt nodules were ground to a fine powder and this product, made into a mortar with sand, set in 5–15 minutes. The success of Roman cement led other manufacturers to develop products by burning artificial mixtures of clay. There has been recent resurgence of interest in Natural cements and Roman cements due mainly to the need for repair of façades done in this material in the 19th century, the major confusion involved for many people in this subject is the terminology used. Roman cement was originally the name given, by Parker, to the cement he patented which is a Natural cement, in 1791, Parker was granted a patent Method of Burning bricks, Chalk. His second patent in 1796 A certain Cement or Terras to be used in Aquatic and other Buildings and Stucco Work, covers Roman cement and he set up his manufacturing plant on Northfleetcreek, Kent. It was notably patented late on but James Parker is still the subject of all the credit. Later, in the 1800s various sources of the type of marl, known as Cement Stone, were discovered across Europe. They do not slake in contact with water and must therefore be ground to a floury fineness, from around 1807 a number of people looked to make artificial versions of this cement. This was done by adding various materials together to make a version of natural cement. The name Portland cement is recorded in a directory published in 1823 being associated with William Lockwood, Dave Stewart, there followed a number of independently discovered or copied versions of this Portland cement. This cement is not, the same as the modern ordinary Portland cement, James Frost is reported to have erected a manufactory for making of an artificial cement in 1826. In 1843, Aspdins son William improved their cement, which was initially called Patent Portland cement, in 1848, William Aspdin further improved his cement and in 1853, he moved to Germany where he was involved in cement making. William Aspdin made what could be called meso-Portland cement, artificial cement, Development in the 1860s of rotating horizontal kiln technology brought dramatic changes in properties, arguably resulting in modern cement. Coplay is a borough in Lehigh County, six miles northwest of Allentown. It is part of the Lehigh Valley region of the state, in 1900,1,581 people lived in Coplay, in 1910,2,670 people lived there. The population was 3,387 at the 2000 census, Coplay is included in the Allentown-Bethlehem-Easton, PA-NJ Metropolitan Statistical Area, which is included in the New York City-Newark, New Jersey, NY-NJ-CT-PA Combined Statistical Area. Coplay is located at 40°40′14″N 75°29′43″W, according to the United States Census Bureau, the borough has a total area of 0.6 square miles, of which,0.6 square miles of it is land and 0.04 square miles of it is water. The Borough of Coplay is situated along the Lehigh River, about 5 miles north of Allentown, Coplay was part of the 400 acres of land John Jacob Schreiber bought from the William Penn heirs in 1740. For a long time it was known as Schreibers, it was known as the Lehigh Valley, because of the Lehigh Valley Iron Furnaces that were located here. Lehigh Valley was changed to Coplay, the son of the Indian chief, who lived at the head of the creek near Schnecksville. The Borough of Coplay seceded from Whitehall Township in 1869 and was incorporated as a borough on April 7,1869, gradually Coplay changed from a farming area into an Industrial Community. The Thomas Iron Company started the change and they brought in workers and built homes for them. When the Iron Company was liquidated, other industries came to Coplay, the Cement Mill, the Silk Mill. Coplay became a melting pot of many nationalities, the Pennsylvania Dutch and Germans, who were the agricultural element. Due to growth of the Iron Industry, immigrants from Ireland came, then, in the early 1900s, the Cement Mills attracted immigrants from Austria, Czechoslovakia and the Ukraine. On April 7,1969, the borough celebrated its centennial anniversary, a celebration was held from June 15-21 in the town. The Coplay Cement Company Kilns was added to the National Register of Historic Places in 1980, as of the census of 2000, there were 3,387 people,1,431 households, and 953 families residing in the borough. Gypsum is a soft sulfate mineral composed of calcium sulfate dihydrate, with the chemical formula CaSO4·2H2O. It is widely mined and is used as a fertilizer, and as the constituent in many forms of plaster, blackboard chalk. Mohs scale of hardness, based on scratch Hardness comparison. It forms as a mineral and as a hydration product of anhydrite. The word gypsum is derived from the Greek word γύψος, because the quarries of the Montmartre district of Paris have long furnished burnt gypsum used for various purposes, this dehydrated gypsum became known as plaster of Paris. Upon addition of water, after a few tens of minutes plaster of Paris becomes regular gypsum again, causing the material to harden or set in ways that are useful for casting, Gypsum was known in Old English as spærstān, spear stone, referring to its crystalline projections. Gypsum may act as a source of sulfur for plant growth, which was discovered by J. M. Mayer, american farmers were so anxious to acquire it that a lively smuggling trade with Nova Scotia evolved, resulting in the so-called Plaster War of 1820. In the 19th century, it was known as lime sulfate or sulfate of lime. Gypsum is moderately water-soluble and, in contrast to most other salts, it exhibits retrograde solubility, when gypsum is heated in air it loses water and converts first to calcium sulfate hemihydrate, and, if heated further, to anhydrous calcium sulfate. As for anhydrite, its solubility in saline solutions and in brines is dependent on NaCl concentration. Gypsum crystals are found to contain water and hydrogen bonding. Gypsum occurs in nature as flattened and often twinned crystals, and transparent, selenite contains no significant selenium, both substances were named for the ancient Greek word for the Moon. Selenite may occur in a silky, fibrous form, in case it is commonly called satin spar. Finally, it may be granular or quite compact, in hand-sized samples, it can be anywhere from transparent to opaque. A very fine-grained white or lightly tinted variety of gypsum, called alabaster, is prized for ornamental work of various sorts, in arid areas, gypsum can occur in a flower-like form, typically opaque, with embedded sand grains called desert rose. Grout is a particularly fluid form of concrete used to fill gaps. It is often color tinted when it will remain visible, unlike other structural pastes such as plaster or joint compound, correctly mixed and applied grout forms a waterproof seal. Grout varieties include tiling grout, flooring grout, resin grout, non-shrink grout, structural grout, tiling grout is often used to fill the spaces between tiles or mosaics, and to secure tile to its base. Although ungrouted mosaics do exist, most have grout between the tesserae, tiling grout is cement-based, and comes in sanded as well as unsanded varieties. The sanded variety contains finely ground silica sand, unsanded is finer and they are often enhanced with polymers and/ or latex. Structural grout is used in reinforced masonry to fill voids in masonry housing reinforcing steel, securing the steel in place. Non-shrink grout is used beneath metal bearing plates to ensure a consistent bearing surface between the plate and its substrate, portland cement is the most common cementing agent in grout, but thermoset polymer matrix grouts based on thermosets such as urethanes and epoxies are popular. 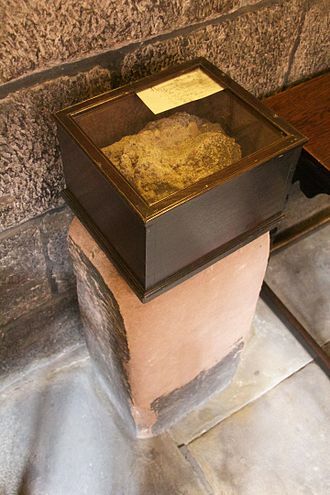 Roman mortar on display at Chetham's School of Music. Gypsum crystals are plastic enough to bend under pressure of the hand. Sample on display at Musée cantonal de géologie de Lausanne. Gypsum works, Valencian Museum of Ethnology. Portland stone quarry on the Isle of Portland, Dorset. London School of Hygiene & Tropical Medicine, Keppel Street. Opened in 1929, the image shows the building's Portland stone facade . Portland Castle was built to defend Portland in the 16th century. Nitrogen dioxide 2014 – global air quality levels (released 14 December 2015). Above the ornate south doorway of Lichfield Cathedral stand seven figures carved in Roman cement. Portland Cement Works in 1950. 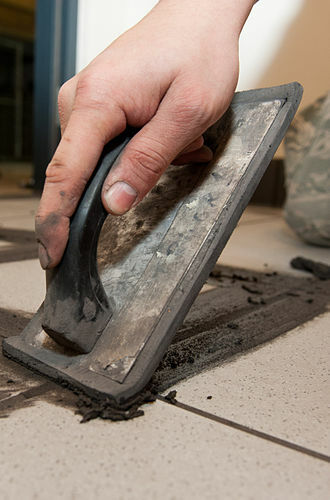 Smoothing grout between tiles with a rubber grout float. 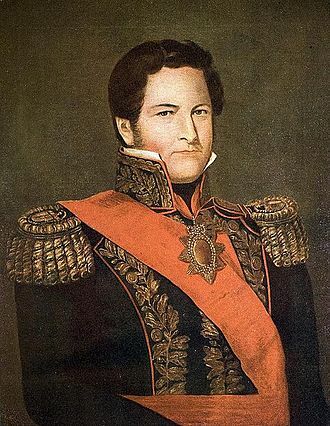 Portrait of Louis Vicat young. Simplified crystal structure of alite. Head office of the German Institute for Standardization in Berlin-Tiergarten.